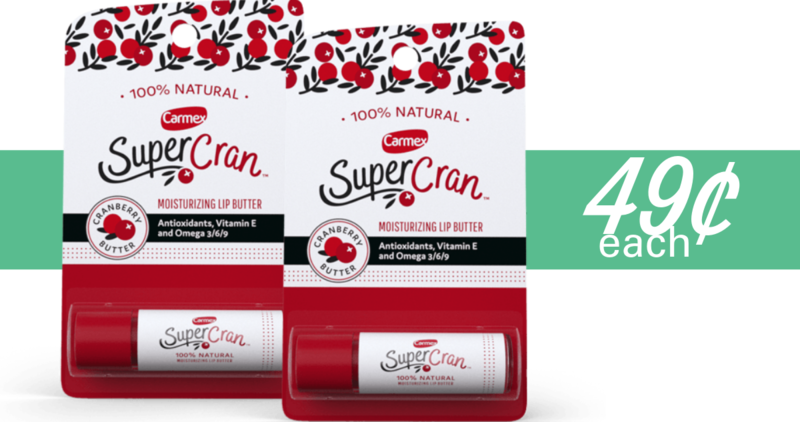 You can print out Carmex Coupon coupon to save on SuperCran lip butter. Use it at Walgreens along with an Ibotta offer to get 2 for just 49¢ each! See the full Walgreens Ad for more great deals.